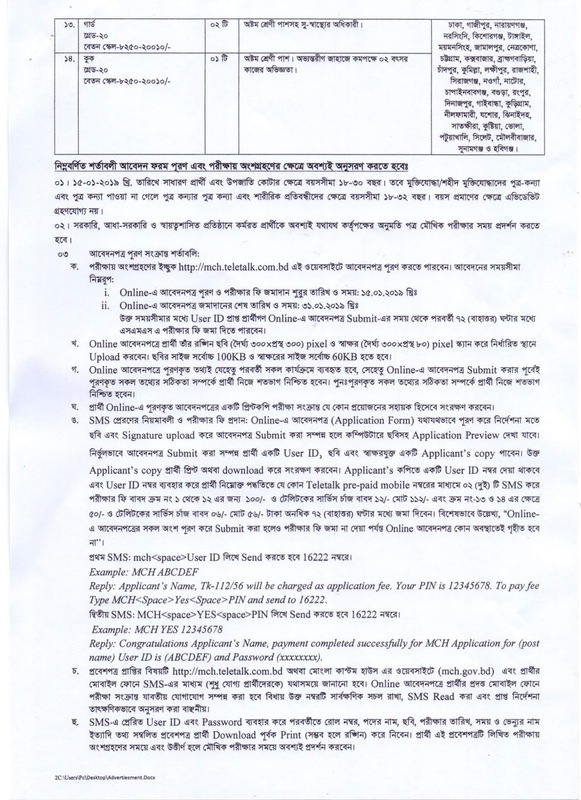 Khulna Customs Excise & VAT commissionerate has published appointment notice for Deferent Post. 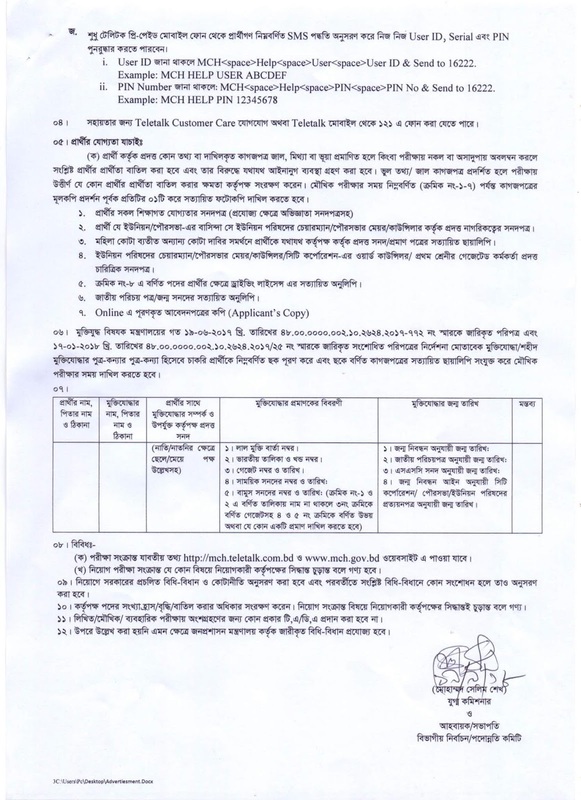 Customs Excise VAT commissionerate job circular notice at www.khulna.gov.bd. 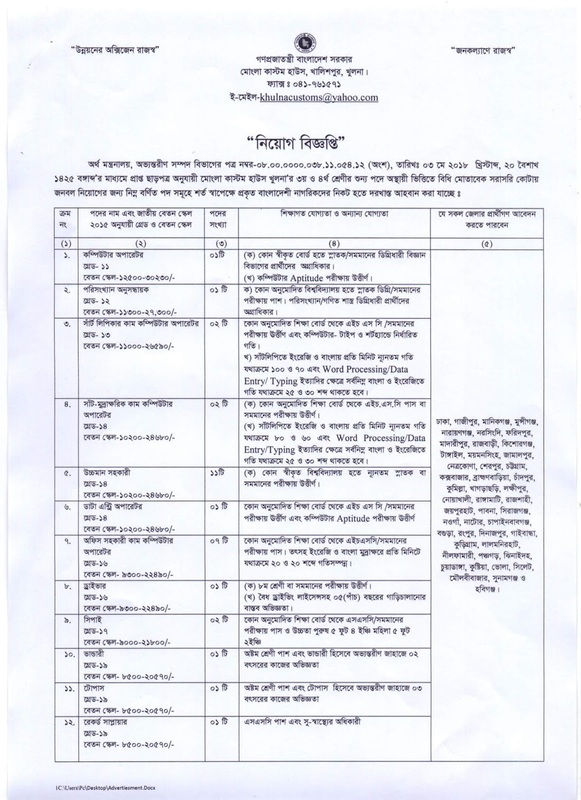 Khulna Customs Excise & VAT commissionerate Jobs Circular offer total 34 posts new vacancy. 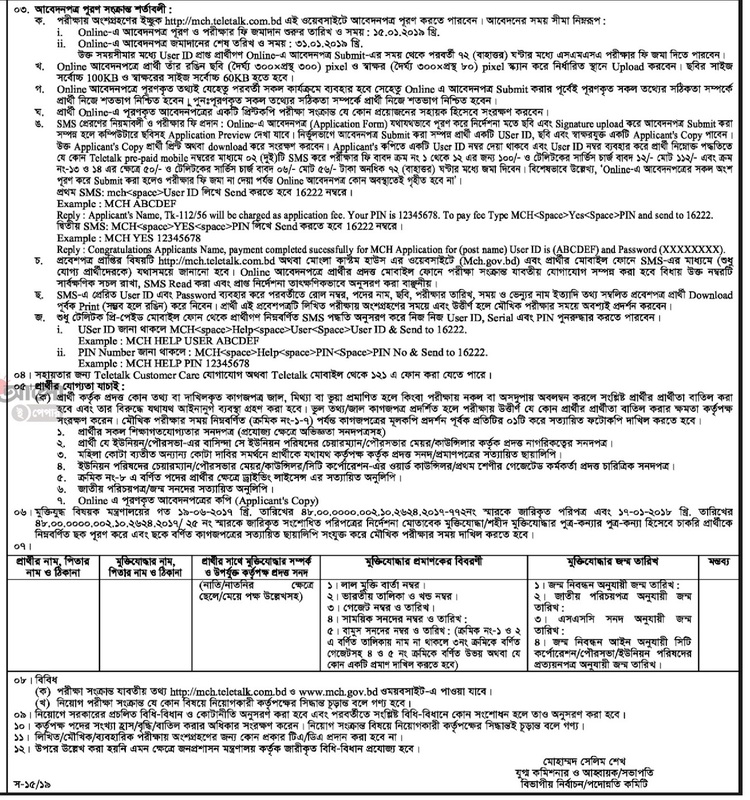 Bachelor’s degree Student also apply this Khulna Customs Excise & VAT commissionerate Government job circular 2018. You can also apply if you have interests and qualifications. Educational Qualification: Eight, SSC, HSC and Degree Passed Candidates can apply. Age Limit: 18-30 people and quota available 18-32 years. Application Type: Manual application through Post Office. Mailing Address is given below. Job Location: Jessere, Kushtia, Chuadanga, Meherpur, Magura, Jhinaidah, Norail, Gopalgonj, Rajbari and Foridpur. 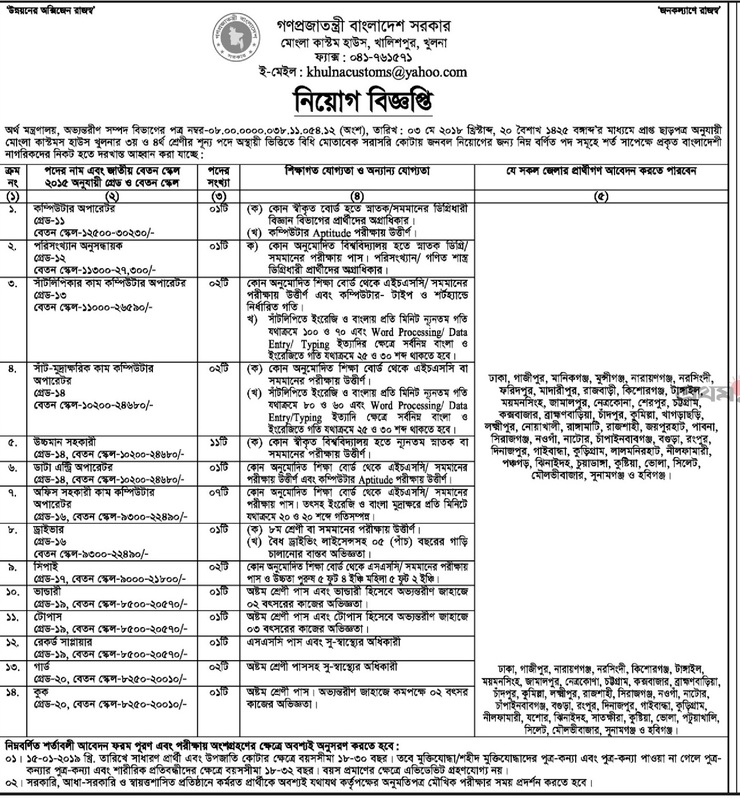 Bangladesh Customs House will recruit a large number of people. At this stage, most people think that government jobs will be perfect in their future life. Because giving good benefits to the government workers with a fair pay. In this case, Bangladesh Customs House has created a huge scope for the unemployed people.